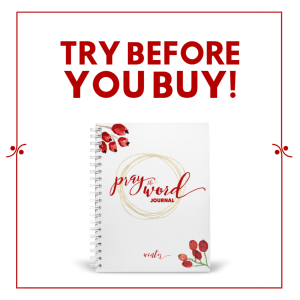 Have you ever felt like you were the only mom who feels the way you do? Like you’re the only one making counter-cultural decisions about and for your kids? 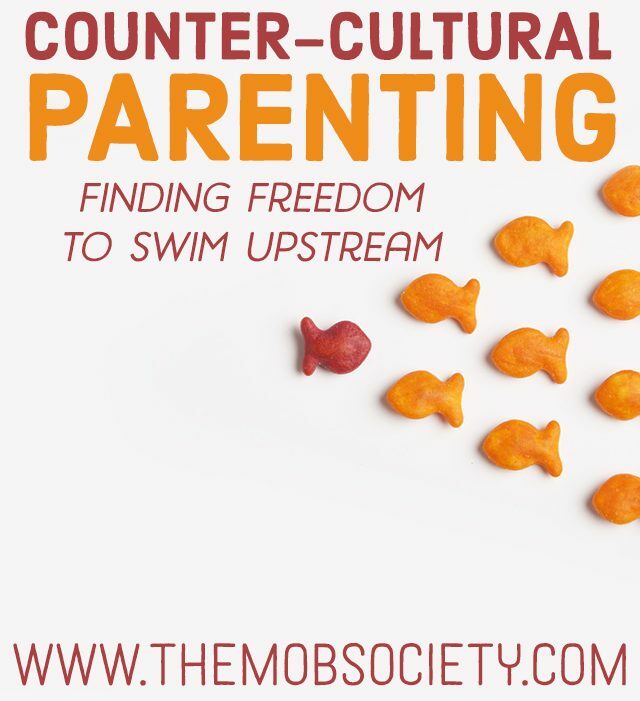 Like you’re swimming upstream in a sea of parents going in a completely opposite direction? I’ve been there. In fact, I was there just last week when I had to tell my sons they couldn’t download an app “everyone else” had because the ratings were in the gutter. I really feel bad when they’re embarrassed by my “no’s.” Honestly. I don’t like when they have to tell their friends, “my mom won’t let me,” with downcast eyes. But you know what I like even less? The thought of shirking the call God has placed on my life to protect them, love them well, fight for them. I’m determined to honor God with my parenting, even if it makes me feel like I’m standing alone. 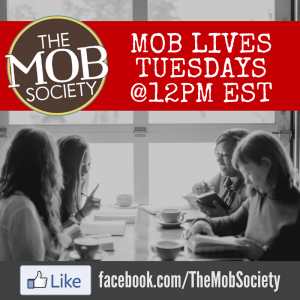 Starting tomorrow, and for the whole month of April, we’ll be talking about counter-cultural parenting here at the MOB Society. From educational choice, to athletics…we’ll be tackling some of the hot topic subjects parents deal with today, helping you fine tune your stance and empowering you to walk it out no matter what. It’s going to be a robust month, and we think you’ll leave inspired to “just keep swimming” in whatever direction God calls you to. And check back here frequently to see an updated list of all this month’s posts! I am excited about April’s topic. I have been feeling lonely, parenting my son who is not rough-and- tumble, but kind, compassionate, thoughtful, prayerful. I get so hurt by the “boys will be boys” excuse from other parents, when their child’s behavior is hurtful, unkind or disrespectful.